Use embroidery stabilisers to achieve consistent results in hand or machine methods. Light weight top quality two-way tear stabilizer for machine embroidery. 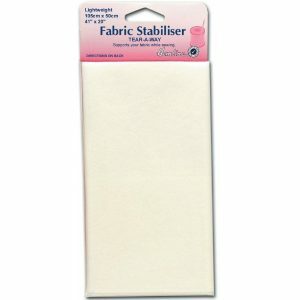 Supports your fabric while you sew. 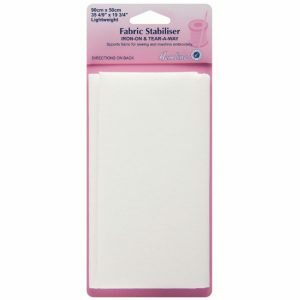 Perfect for backing fabrics to be embroidered on machine. To be sewn just inside the seam line. 1 sheet: 105 x 50cm/41 x 20in. 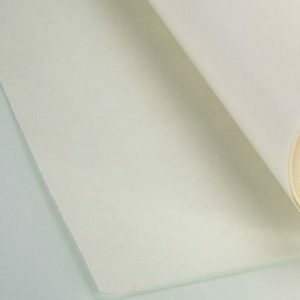 Use embroidery stabilisers to achieve consistent results in hand or machine methods. 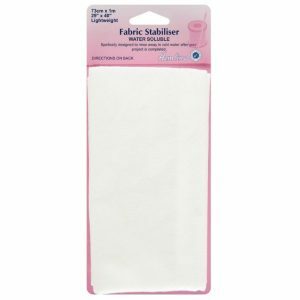 Lightweight fusible/adhesive stabiliser to add support to fabrics while sewing; simply tears away after use. Pre-wash the fabric before fusing. 1 sheet: 90 x 50cm. Use embroidery stabilisers to achieve consistent results in hand or machine methods. This water soluble fabric stabiliser is specifically designed to rinse away in cold water after your project is completed.